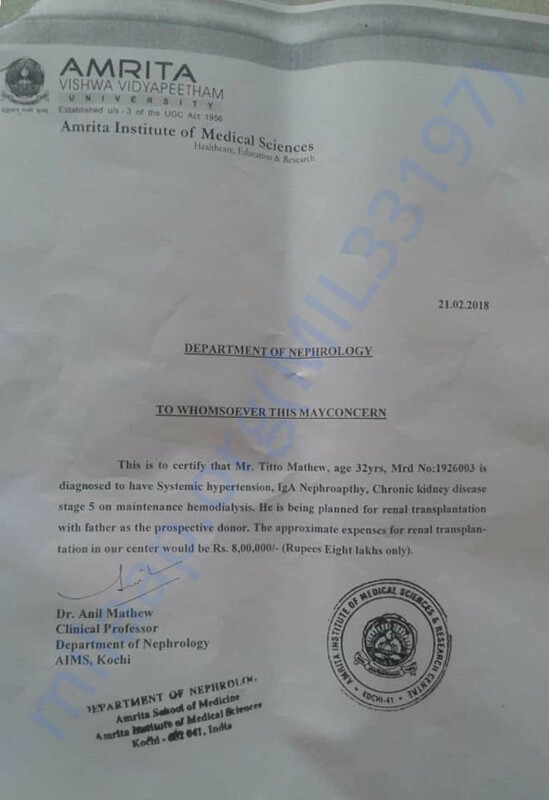 Titto mathew, 32year old young man from keerithodu, idukki district admitted in amrudha hospital cochin,was digonised as kidney failure.His father is willing to donate his kidney but the expense cannot be affordable for this poor family who stays in 3 cent small home. 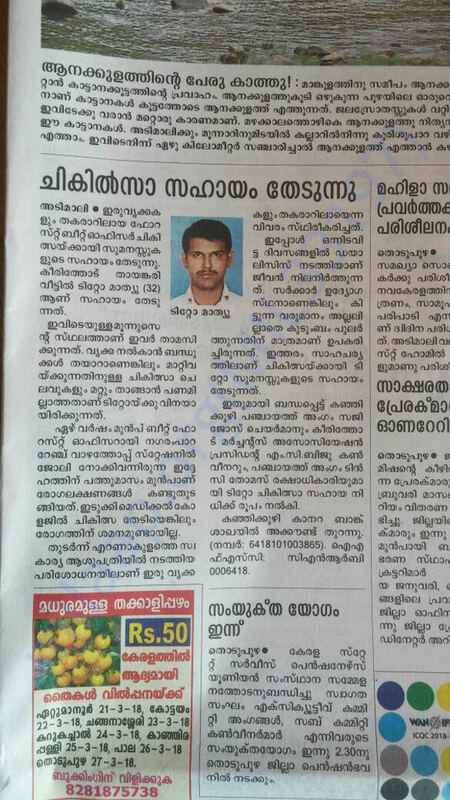 He was married 1.6yr before and his wife is 7month pregnant now.He studied in keerithodu LP school, SN UP school churuly,St.Thomas hs punnayar,Vazhathoppu higher secondory school and government college munnar.Now he is admitted in ICU. 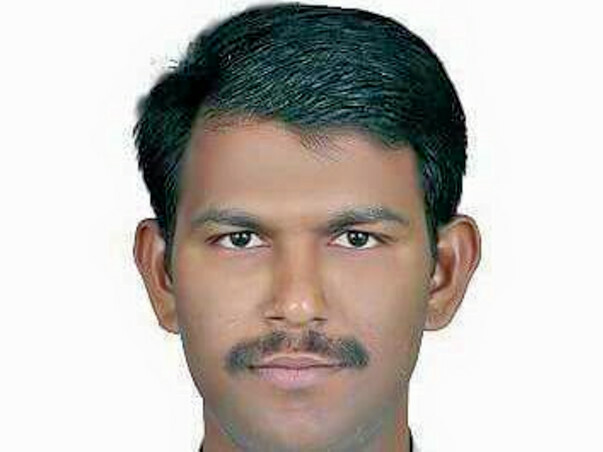 So we humbly request you all for your valuable financial help to bring back him to life. Titto Mathew is still undergoing treatment. He was suffering from fever and allergic to food. He is better now doing his dialysis. Same time his father is going through lots of test for donating his kidney to Titto. Hope that everything will be fine and we may be able to do the transplant this month itself. All of you have been supporting us from your heart. Thanking you all from Titto Matthew's side. We have collected near about 8 lakh from different sources till date which is not enough to meet all his hospital expenses. Expecting your support in future as in the form of prayer or financial support. Currently, we are withdrawing funds raised through this campaign to pay off at the hospital.